iPad application to learn maths for 5 to 12 year old children. 10 MINUTES A DAY TO BE GOOD AT MATH! myBlee Math is the best iPad application for learning mathematics for 5 to 12 year olds. 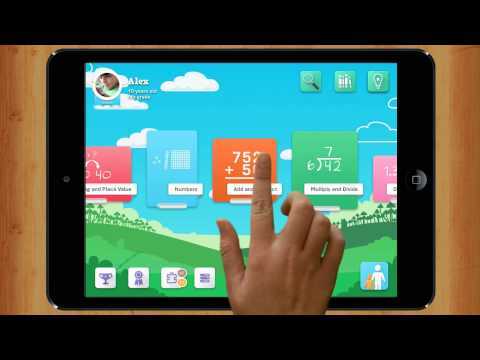 Crafted by teachers, aligned to Common Core, TEKS, and other high-quality standards, myBlee Math turns the iPad into a personal, interactive and efficient Math Tutor that will make kids love Math! My kids love this app. It is entertaining and educational. Very nice way to help children practice their math skills. One of my favorite parts, as a mother, is that there is an option to turn off common core. This app is very interactive, and best yet, keeps my kids busy!! Also, as a former teacher, I agree that the educational value of myBlee Math is much higher than other app I’ve tried. Definitely worth trying!! It’s great to finally find one app that covers every math topic imaginable. My kids love it too! We have three kids in elementary school. Each one of them has been using myblee (most of the time autonomously), they enjoy it, and they learn well. It was already a great app, and the new version is even better! I looked for a long time for an application that would allow my children to work at home. myBlee Math lets them work independently while having fun! Great! It’s beautiful, fun and very useful. My daughter begs to practice her multiplication tables, and my son is starting to learn them now too… Keep going! In Edweek Market Brief, Mary Beth Wiseman, the Elizabeth Forward school system’s director of technology, explains how she worked out a free pilot to see how well teachers liked myBlee Math and how it would work in the classroom. K-5 Technology Coach, Nicole Gleason, explains why the myBlee Math iOS App is a perfect learning tool for Elementary students. 7 reasons why Rochelle Tkach, EdTech Advantage, confirms that myBlee Math is an effective app to promote self-directed learning in mathematics. Digital Curriculum Editor at KinderTown, Lanette Gemmill is reviewing myBlee Math. According to iGeeksBlog, here are the best iPhone or iPad educational games which your kids will love playing. Technology Tidbits ranks myBlee Math in its favorite 50 as a nice free iOS app 5-12 yrs old learning Math. Seen in November 2014 edition of UNESCO Bangkok’s Education Policy Matters Newsletter about myBlee Math! In an interview with Impakter.com, Ross Wehner, TabLab Founder explains how partners such as myBlee Math help supply apps for their teachers tablets. myBlee Math is the best iPad application for learning K-6 mathematics. Crafted by teachers, myBlee Math covers K-6 Math (5-12 year old children) with thousands of exercises, manipulatives, video lessons, and adaptive feedback, all aligned to Common Core, TEKS, and other high-quality standards. It took 3 years for a team of experienced teachers to create myBlee Math and it is carefully tested with children to ensure that learning is always interactive, rewarding, and fun. 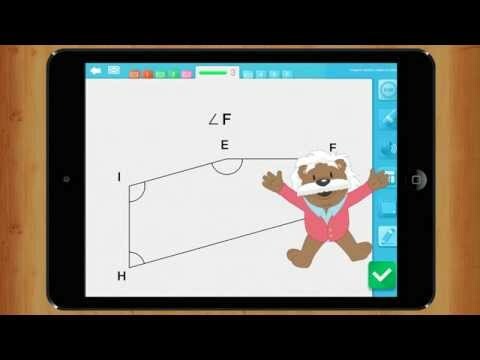 A Single Comprehensive Solution: Aligned with the Common Core State Standards for elementary school math, myBlee delivers to tablets 2,000 interactive lessons and level of exercises. Homework Support: Short lessons and highly interactive exercises allow kids to review massive amounts of math topics from anywhere and at their own pace. Adaptive Learning: Kids receive an individualized learning experience tailored to their mathematical strengths and needs, while parents and teachers can follow their progress. On average, our annual subscribers use myBlee Math more than 50 hours a year for each child. For the costs of only one to two hours of private tuition, your Child(ren) will be able to practice math one full year on myBlee Math, as much as you and them want to. Make sure your child(ren) do their time on myBlee Math and they will build their math skills. myBlee Math respects parents’ trust and promise there are no in-app advertisements and no other in-app purchases to distract from the learning. All subscription fees are automatically charged through your iTunes account. Subscriptions are automatically renewed 24 hours before the subscription expires. Cancelations need to be made before the subscription is automatically renewed. Renewals and cancelations can only be managed through your App Store account. myBlee Math is for everyone. There is no long-term commitment with a myBlee Math subscription. You can cancel at anytime. To get started, just go on the App Store, search for myBlee Math , download the application on your iPad. This last step can take between 2 and 10 minutes depending on you Internet connection. create your account – your email address is requested to have free access 10 mins a week and to receive information about your child(ren) progress and educational advices. Your child(ren) will never access or need this email address when reconnecting to their individualized path. It’s now your child(ren)’s turn to start on myBlee Math Campus. A tutorial screen will explain him or her how to use the interface buttons, the first suggested exercise will appear and let’s go! Learn how to access myBlee Math lessons and exercises. 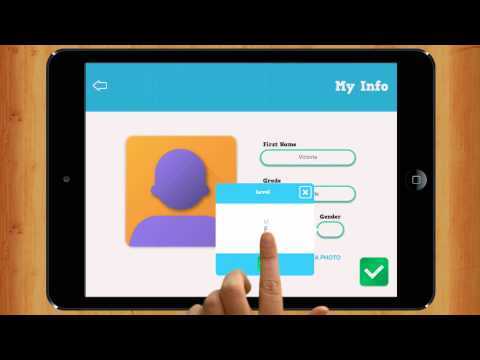 Discover how to create profiles for your child(ren) to get personalized teaching. Discover how to use myBlee Math so that your child(ren) can learn and enjoy. Discover how your child(ren) will be encouraged and motivated by receiving fun prizes and rewards. Discover how to access detailed progress report, tutorials, account settings, etc. Download the iPhone App and have real time update on your child(ren) activities and progress and be able to congratulate them via your iPhone. For more information, click here. GOOD IN MATH IN 10 MINS A DAY! Download myBlee Math for free on the App Store!